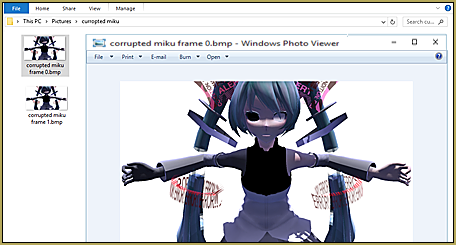 I get a black image when I Render to Picture File in MMD. 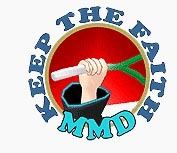 How can I capture images from my AVI file? Where can I get IrfanView Media Viewer? 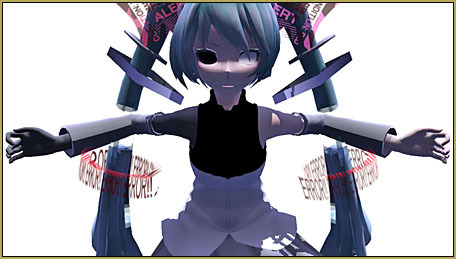 HAVE A PROBLEM WHEN RENDERING PICTURE IN MMD? NO FEARS BECAUSE XAV IS HEEEEERE! Hi, it’s Xav again! I am now going to help you confront your problem. You could use “Print Screen” to capture that image… or you could capture the image from a video using IrfanView®. Of course, I want to make a picture for my dear friend. Set you animation length to just a frame or two. Render your project to AVI. 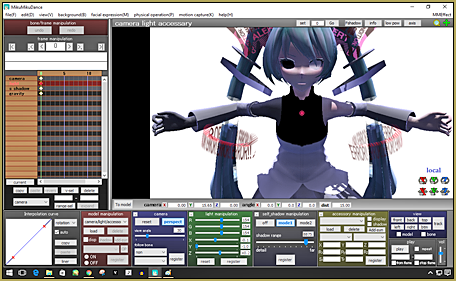 Just put it like this, the size of the image depends on the screen-size you entered under the View menu in MMD (the larger the screen-size, the larger the captured image). 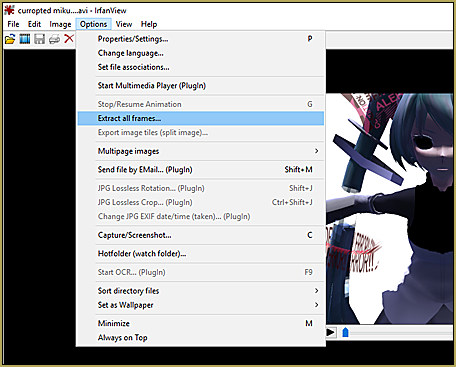 Open the AVI file with IrfanView. 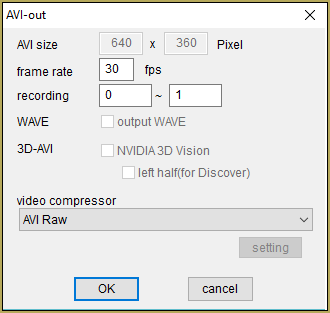 Open ” Options ” and choose ” Extract all frames “. And then click OK. You’ll find a folder in your Picture folder which is has two pictures in it. It is your picture! Now your problem is solved!!!! 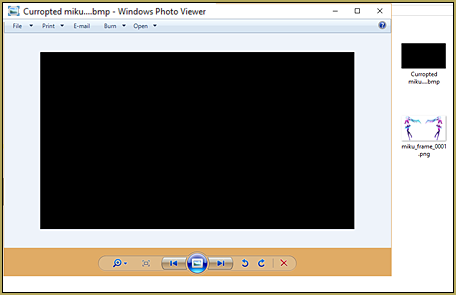 IrfanView can open and view… and save… all kinds of image and AVI files that you find on the internet. Thanks for reading my tutorial~!